Honor Hall of Famer, Marcus Allen in style with the Raiders Mitchell & Ness Marcus Allen Name & Number Long Sleeve Tee! 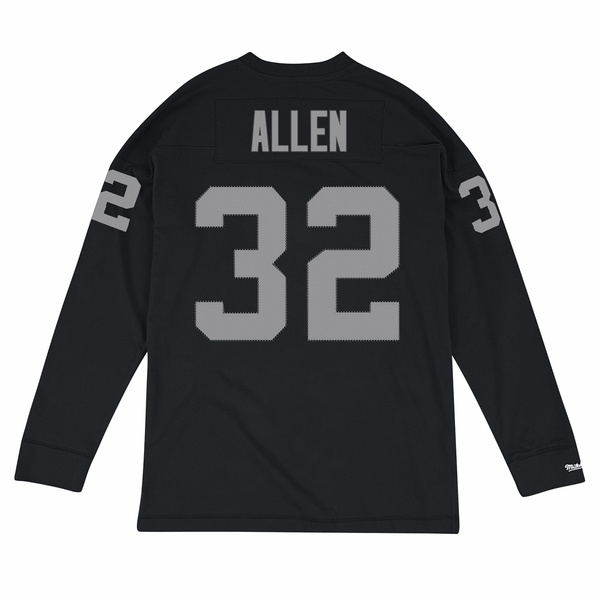 This tee features Marcus Allen�s name and number stitched onto the front, back and sleeves in tackle twill applique�just like the jerseys! 100% cotton.